Can Heart Failure Be Prevented? Heart failure is the leading cause of hospitalization for people over age 65. But it can occur at any age. Learn more about risks and prevention. It’s important to know that despite its name, “heart failure” does not mean your heart has failed or stopped working. So what does it really mean? The term actually describes a medical condition in which the heart isn’t pumping enough blood to meet the body’s needs for blood and oxygen. You may feel winded just walking from your car to the grocery store. Or you may notice leg swelling and abdominal bloating. These are signs that your heart can’t pump enough blood to your muscles and organs. “Symptoms like these can be easily overlooked,” says cardiologist W. H. Wilson Tang, MD. They may progress to the point that it may be difficult to perform common activities of daily living. It’s important to know that any heart problem can produce symptoms and signs of heart failure by interfering with the overall efficiency of the heart muscle. That means the most important task in preventing heart failure is to be vigilant in recognizing the signs and symptoms of heart failure and make an accurate diagnosis. In fact, Dr. Tang notes about 1 in a 100 people walks around without knowing that they already have a heart that pumps weaker than a healthy person. Others may have non-specific symptoms that they may not recognize to be part of their heart condition. Heart failure is the leading cause of hospitalization for people over age 65. And it is a growing problem worldwide, partially because of our overall successes in treating other heart diseases. What’s more alarming? 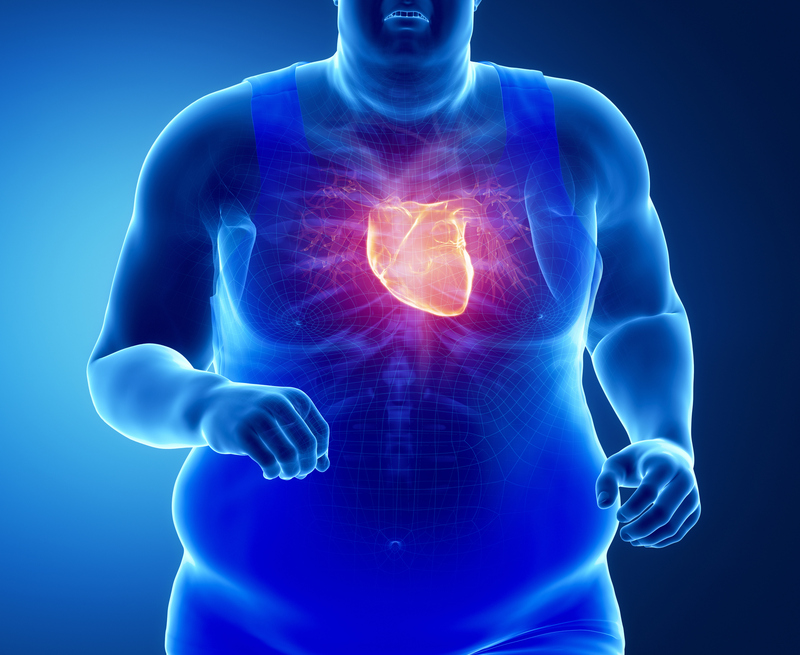 Recent studies have suggested that 1 out of 5 people may develop heart failure at some point in their lifetime. Heart failure may occur at any age, and in a good number of cases, there may not be a clear explanation of inciting causes. The good news is, we have identified several medications that can deter or even reverse the progression of heart failure, making it a treatable and preventable condition if identified early. You may have risk factors for developing heart failure that you can modify. People with one or more risk factors such as high blood pressure, diabetes, high cholesterol or obesity are also at a higher risk of developing heart failure. “Dietary and lifestyle changes and prompt medical treatment to control cardiovascular risk factors like lower blood pressure and controlling blood sugar and cholesterol have been shown in clinical studies to help prevent the development of heart failure,” says Dr. Tang. You may have medical conditions that can promote or make you more likely to develop heart failure. Even though many doctors may tell their patients with heart failure that “viruses have attacked the heart,” the truth is, we only know the exact cause of heart failure in a subset of patients. The two most common treatable causes include poor blood pressure control and blockage or narrowing of blood vessels (often in those who have high cholesterol or diabetes). Other common medical conditions can raise your risk of developing heart failure like some rheumatologic or inflammatory diseases (such as rheumatoid arthritis or lupus) or hormonal disorders (like thyroid diseases). You may be exposed to drugs or toxins that can directly cause heart damage. Sometimes heart failure may occur as side effects of prescription drugs ― including some cancer drugs, hormonal supplements and stimulants. Alcohol has long been associated with heart failure, although exactly how this occurs in the body isn’t well understood. There have been reports that some dietary supplements (like energy drinks) may contain stimulants like ephedra that can also damage heart muscles. Know your family history. Take opportunities at family reunions or holiday events to ask about any heart diseases or unexplained deaths in your family. People who have heart failure symptoms and a family history of heart muscle disease or two or more relatives dying suddenly without explanation should consider genetic testing, Dr. Tang recommends. Exercise and eat healthy. We still do not understand exactly how these lifestyle modifications can prevent heart failure, but we know very well that many cardiovascular risk factors can be improved with regular exercise and healthy diet. Track your body mass index (BMI) and your weight. Usually, your ideal numbers are close to how much you weighed when you were a teenager. Get an annual checkup. Sometimes the symptoms of heart failure, such as fatigue, are easily overlooked ― particularly in active younger people. During your yearly visit, your doctor will review your history, blood tests, vital signs and EKG results to check the health of your heart and other organs. You doctor may order an echocardiogram or ultrasound of the heart if heart failure is suspected. Dr. Tang is currently leading the Cleveland Heart and Metabolic Prevention Study (CHAMPS), a longitudinal study aiming to understand the factors leading to the development and progression of heart failure in people at risk of developing heart failure. For more invitation, please visit: https://clinicaltrials.gov/ct2/show/NCT03012022. Heart Failure Before Age 65: How Does it Happen?